Design Action was very successful! 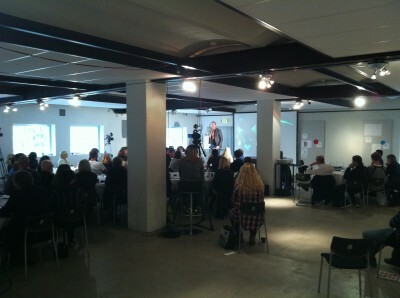 On the 21 of september Sveriges Designer held the conference Design Action in Pukeberg, Nybro – DesignAction 2012. It was a very inspiring day with 140 participants and great speakers! Read more about the conference and watch the videos from the day at www.designaction.se. The purpose of the conference was to bring together key individuals in Swedish business; design expertise, manufactures, design buyers and organizations – with focus on increasing our understanding of how design efforts can create more innovation, higher level of customer satisfaction and better growth. The conference were planned within the national program for the creative industries and Vinnova’s program “Innovation and Design” to encourage innovation, entrepreneurship and growth in Sweden. As the chairman of the board for Sveriges Designer I am very satisfied with the result. It has been a lot of work though, where I was involved in all parts and responsible for the planning and making of the conference. Very well – now remains only the summary and report. It will be interesting to analyze the reflections that were given from the audience during the day! I will come back with more information. Key note speaker Magnus Lindkvist on stage. A really great speaker! !